Annapurna Pictures has released the green band trailer for their upcoming coming-of-age comedy Booksmart, featuring new footage from the film including a scene where Amy awkwardly tries to talk to her crush. Directed by actress Olivia Wilde (her directorial debut), the film will arrive in theaters on May 24. Check out the video below! Written by Emily Halpern and Sarah Haskins with current revisions by Katie Silberman, Booksmart is an unfiltered comedy, told from a wildly original, fresh modern perspective, about high school best friends and the bonds we create that last a lifetime. Capturing the spirit of our times, the film is a coming of age story for a new generation. The story follows two academic superstars and best friends (Beanie Feldstein and Kaitlyn Dever) who, on the eve of their high school graduation, suddenly realize that they should have worked less and played more. Determined never to fall short of their peers, the girls set out on a mission to cram four years of fun into one night. 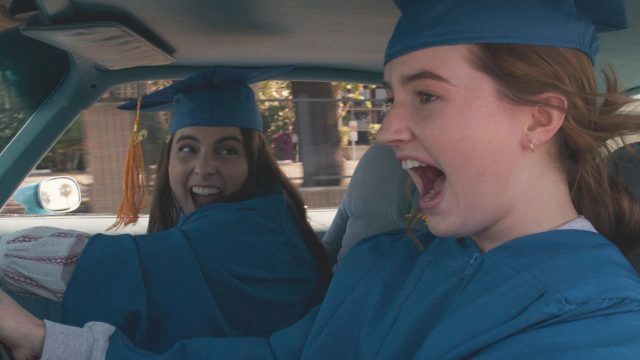 Booksmart stars Beanie Feldstein and Kaitlyn Dever, with Jessica Williams, Jason Sudeikis, Lisa Kudrow, Will Forte and Mike O’Brien also joining the ensemble cast comprised of rising new talent, including Molly Gordon, Billie Lourd, Skyler Gisondo, Noah Galvin, Diana Silvers, Mason Gooding, Victoria Ruesga, Austin Crute, Eduardo Franco and Nico Hiraga. Megan Ellison, David Distenfeld, and Chelsea Barnard are producing for Annapurna, and Jessica Elbaum, Adam McKay, and Will Ferrell are executive producing for Gloria Sanchez. Katie Silberman will also serve as producer.